Great news! In my Toneforge Menace review (here) I mentioned the limiter section of the plugin would be great on its own. Now the power is yours in a singular plugin with extra features. Finality comes in a lite version as well as an advanced version with several modes. CONNERSVILLE, Ind. 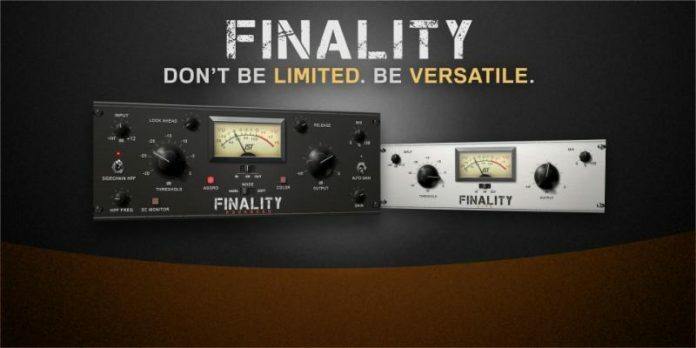 – Joey Sturgis Tones, the audio production software company founded by renowned producer and educator, Joey Sturgis, has released the latest product in its line of signature audio plugins and tones, the powerful and versatile limiter, Finality. Available now in both ‘Advanced’ and ‘Lite’ versions, Finality can be purchased at special introductory pricing ($69 for ‘Advanced’ and $39 for ‘Lite’) via the JST website at: http://joeysturgistones.com/products/finality. Finality is a limiter designed from the ground up to be both powerful and versatile. Whether the source is very dynamic like drums and vocals, or more flat like distorted rhythm guitars and synth, Finality can be dialed to masterfully control peak and level dynamics in a mix. Features like hard and soft modes, color, look ahead and more make Finality an all-around solution for handling vocals, guitars, drums and mixing materials with ease. A video manual can be seen online at: http://joeysturgistones.com/finality-video-manual for a full overview of all Finality’s unique features. Stay tuned for more information on Finality and Joey Sturgis Tones.